Pick up in Lewisporte price below or can be drop shipped directly to your door extra charge may apply. Units can be assembled for extra fee. 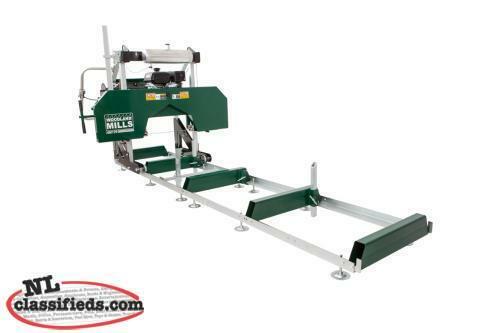 Woodland Mills designed the HM122 sawmill for budget minded customers looking at getting into milling their own lumber at a reasonable price point. 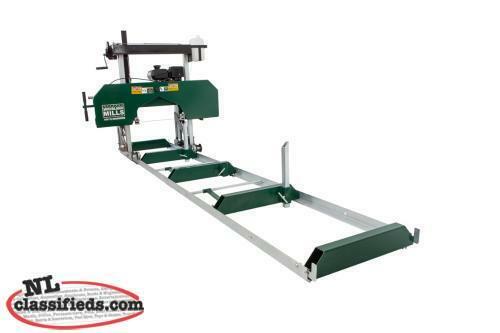 Based off of our very popular HM126 model, the HM122 offers hobby sawyers an economical and well engineered mill. 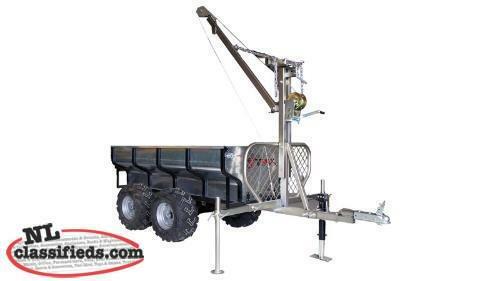 Ability to mill logs up to 22” in diameter and 10’ in length. 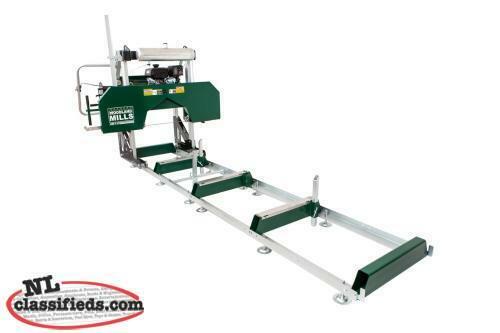 HM126 Portable Sawmill with 9.5 horsepower Kohler engine. Ability to mill logs up to 26” in diameter and 10’ in length. Additional tracks can be purchased to increase log length capacity. HM126 portable Sawmill with 14 horsepower Kohler engine. Ability to mill logs up to 26” in diameter and 10’ in length. Additional tracks can be purchased to increase log length capacity. 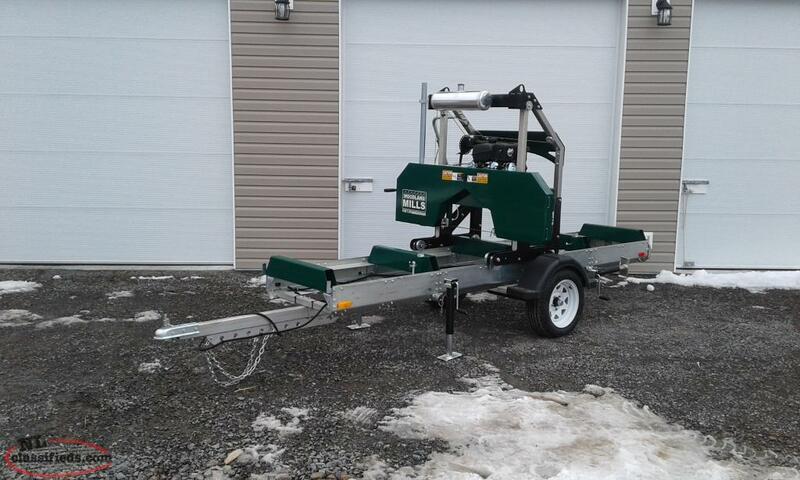 HM130 Portable Sawmill with 14 horsepower Kohler engine. Ability to mill logs up to 30” in diameter and 10’ in length. Additional tracks can be purchased to increase log length capacity. 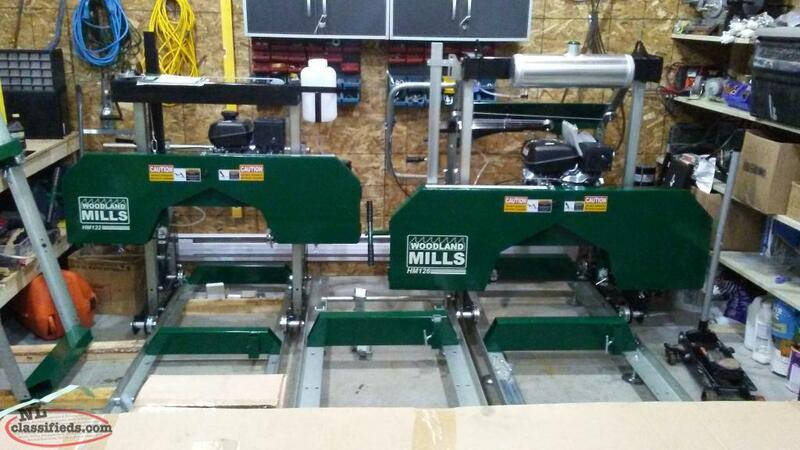 Click to view all listings from Aurora Holdings Inc.
More from Aurora Holdings Inc.
Hi, I'm interested in the 'Bandsaw Sawmills' posted on NL Classifieds! Please contact me if still available.